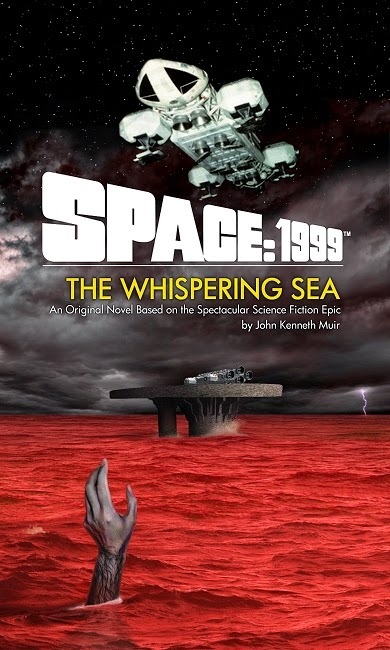 In keeping with Breakaway Day 2014 celebrations, I'll be a guest on Dr. Howard Margolin's genre talk show, Destinies - The Voice of Science Fiction on WUSB, 90.1 FM at 11:30 pm tonight to talk about my second Space: 1999 novel: The Whispering Sea (2014). Tonight's show marks my thirteenth appearance on Destinies, and I was last there in late October, 2012, discussing Horror Films of the 1990s. Last year, Howard celebrated Destinies' thirtieth anniversary. Howard is a thorough and knowledgeable interviewer, so I'm really looking forward to the show, and discussing Space:1999 with him. I'll also be reading an excerpt from my book. John I will be listening. At midnight you all should be saying Happy Breakaway Day! How I wish that the third season of SPACE:1999 had been made in 1978. It would have been awesome if they had taken elements of both prior seasons. What a loss made by Lew Grade's bad decision to instead use that budget to promote Raise The Titanic film. Thank you for staying up late and listening to the interview. You are the best!